Merci à Peter chez MONOCHROME d’avoir lu notre livre et d’avoir publié une revue très élogieuse ! Today, we have something different for you, as we would like to share a very interesting book, written by Joël Pynson and Sebastian Chaulmontet (the man behind Arnold & Son and Angelus), named Chronographs for Collectors. The authors conducted thorough research into the origins of the chronograph and 30 chronographs. Chronographs have always been among the most difficult movements to design, and a lot of technical skills are required to produce these watches. The 30 models selected are historical, and characteristic the period. For each watch, a synopsis of its history, expert opinion, an overview of similar models, and an assessment of rarity, price level, and technology. 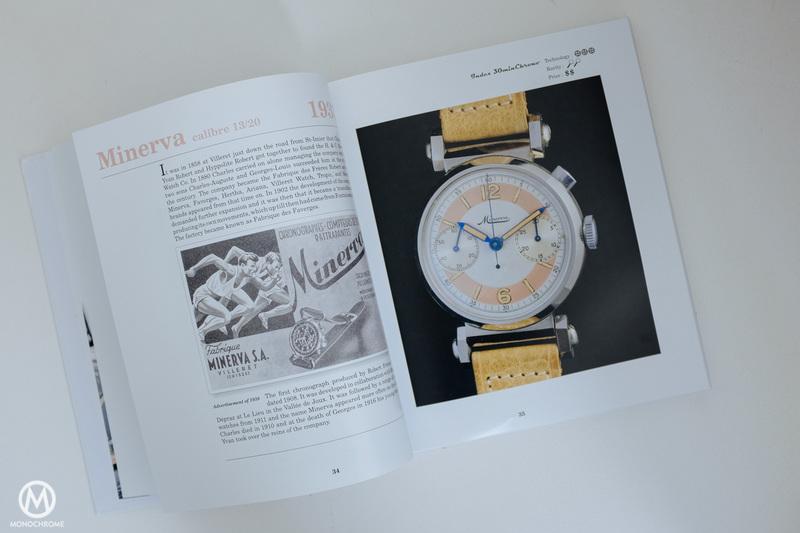 The authors aim to help collectors, to make knowledgeable buying-decisions about vintage chronographs.